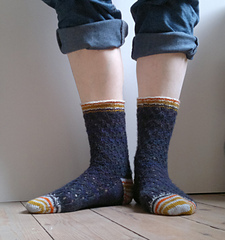 About a year ago I told a friend I would never, ever knit socks. 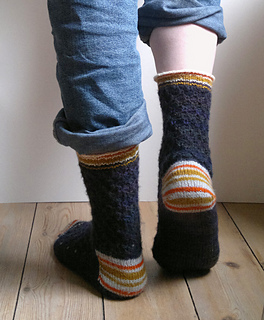 Maybe I could try to knit one pair … But then after that one pair I would never do it again … swear. 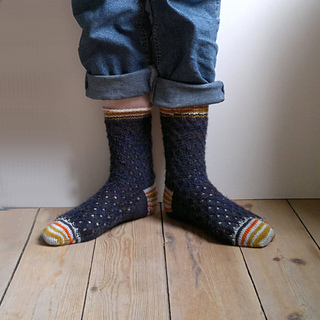 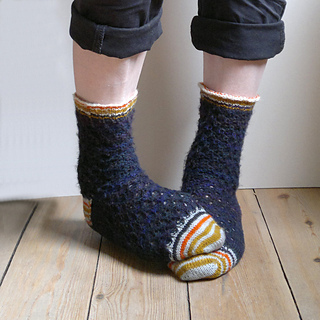 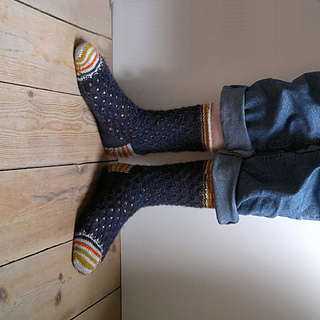 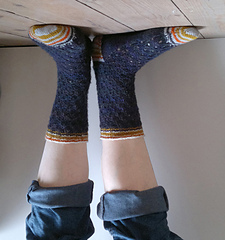 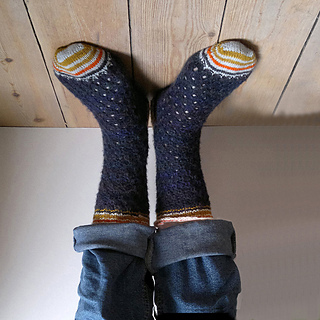 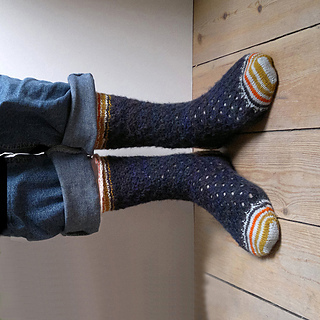 These socks are knit toe up with stripes at the toes, heel and ribbing. 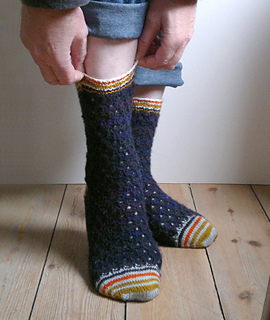 The instep and leg have a cute little stitch pattern with nearly perfectly round holes. 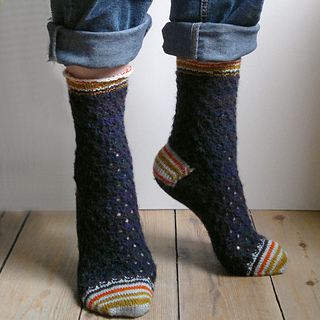 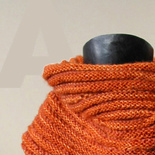 The heel is worked with short rows (instructions included) Tutorials to work the increases are also included.